Vasseur was brought into the new Renault works outfit in 2016 as Racing Director, despite a limited amount of F1 experience. Instead, he cut his teeth starting his own team in ASM and GP2. After only a short amount of time with the Renault squad, Vasseur left, and midway through the 2017 season he was hired by Renault as their new team principal. After studying aeronautics and engineering, Frederic Vasseur dived straight in at the deep end to start his own racing team ASM, which participated in the Formula 3 Championship. Vasseur joined forces with Renault which allowed them to take a title in the junior series. ASM also took part in the F3 Euro series, becoming champions for six consecutive seasons, and raced successfuly in GP3 as well. Moving up to GP2, Vasseur partnered with Nicolas Todt to create the ART Grand Prix squad, which has become a well respected and highly successful team in the series. They've taken many championships and helped promote the careers of Lewis Hamilton and Nico Rosberg. Vasseur is also head of the Spark Racing Technology company, which builds the Formula E cars for the electric racing series. 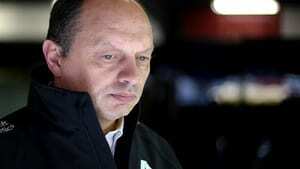 Vasseur remained out of the limelight for the first few months of the year, but returned to Formula One in July. He was hired by Sauber as their new team principal, replacing the outgoing Monisha Kaltenborn.